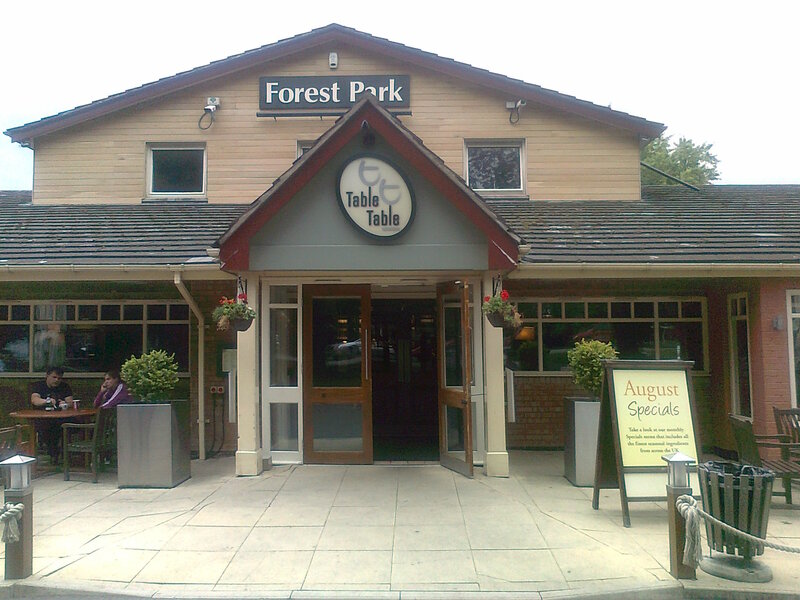 The Forest Park on Hinckley Rd, Leicester Forest East, isn’t really the sort of place I’d rush to try. Part of the pub restaurant chain Table Table, its menu has the familiar family-friendly staples of burgers, chilli, breaded scampi, “chicken and ribs combo” and so on. You kind of suspect not a lot of cooking as such is done in the kitchen. I was however intrigued that they are now running a “Best of British” seasonal menu changing every month. The menu even has a little map of the UK with arrows pointing to show where ingredients come from and each entry elaborates further – the whitebait are “mainly landed in Brixham by the ‘Constant Friend’ fishing boat skippered by Dave Herfox, coxwain of Torbay lifeboat for 28 years”. So is this a cynical attempt to sound sophisticated, or a genuine move to source better food and support small suppliers? I tried Dave’s whitebait as a starter, the fish seemed fine but they hadn’t really been done justice by a really thick crumb. Why do that to a delicate little thing like whitebait I don’t know. They were served nicely with a surprisingly delicate gooseberry relish – so a good dish let down by a lack of finesse. Gill’s starter was field mushroon topped with Blacksticks blue cheese from Lancashire (“handcrafted in small batches from locally-sourced pasteurised cow’s milk”) and bacon. These were two huge, very meaty mushrooms that had been well grilled, cooked through but very succulent, and the melted cheese topping was excellent. Nothing too individual or strongly flavoured to scare the horses here but hearty and tasty food. For main course I selected the Leicestershire offering of a Long Clawson Stilton and broccoli tart. It had the strengths and weaknesses of the previous dishes – the main elements were actually pretty good. The stilton was well-chosen, the tart well made and tasty, but the accompanying huge pile of plainly boiled potatoes was a few carbs too far. It just seemed as if the kitchen’s main aim was that no-one was going to leave this restaurant saying “this poncey food’s all well and good but you never get enough veg”. The salad too was ok but again lacked a little lightness of touch, a little artistry that would have lifted everything. Gill’s dressed crab (caught by “a fleet of 60 small fishing boats in the cold North Atlantic waters”) was simple, fresh and excellent – wouldn’t criticise it and the salad with it seemed to show a bit more imagination too. Deserts kept up the hearty and tasty approach. Kentish apple and damson lattice pie was an acceptable pub Sunday lunch style piece of patisserie and the custard that came with it (made in the Chiltern hills from fresh Jersey whole milkand rich double cream”) was far better than the yellow gloop often found desecrating crumble. Ripe tart (“based on a traditional recipe which originates from the village of Ripe in the Sussex South Downs”) was something of treat, a huge slice of tart with a coconutty filling, lots of black cherry compote and a mountain of a very decent vanilla ice-cream. I think I’d give Table Table the benefit of any doubt and commend them for trying to push their own boundaries a little and respond to customer interest in seasonality and provenance. That said, it would be even better to see more evidence of a lighter touch in the kitchen, a greater awareness of balance in individual dishes. One more thing – we were very impressed with our waitress, who was genial, well-informed and sensitive to our needs. What you hope for in a chain restaurant but do not always get. 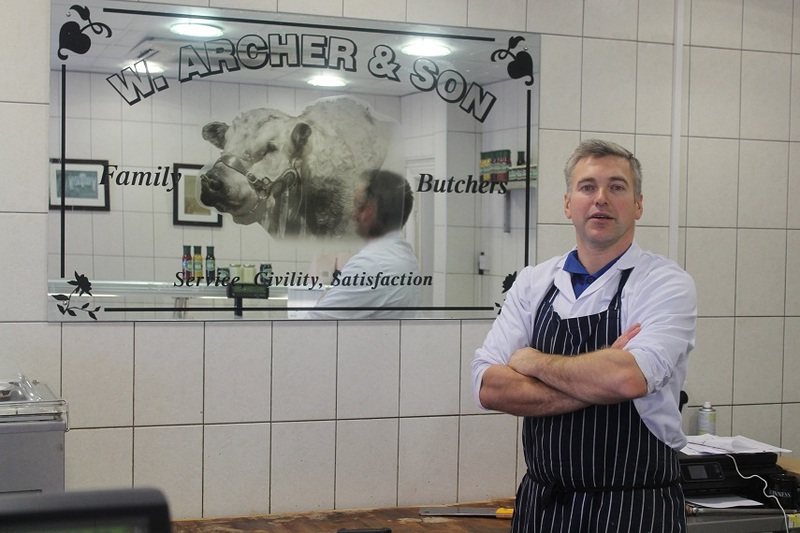 If there’s one food Leicestershire is famous for, it’s probably cheese. And part of that is down to the quality of businesses such as Long Clawson Dairy which this year celebrates 100 years. It was founded as a co-op by a dozen Vale of Belvoir farmers and is, famously, one of only six dairies licensed to produce Blue Stilton, though it produces some 30 types of cheese. 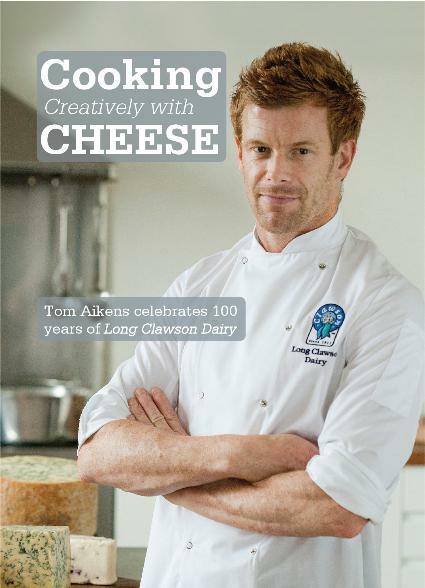 To mark the occasion the dairy has got chef Tom Aikens to produce a cheese cookbook “Cooking Creatively with Cheese” that tells the history of the dairy and offers recipes representing each of the last ten decades – taking in the likes of broccoli and Stilton soup and white Stilton and red onion tart. Place the butter, cheese and flour into a food mixer, adding the paprika and milled pepper, and mix on a medium speed until it forms a smooth dough. Take the dough from the mixer and roll it into a long log shape to a diameter of 4cm and wrap tightly in cling film, chill for approximately 60 minutes. Place some baking parchment onto a baking tray and slice the mix with a knife to around 1cm thick and place onto the baking trays. Mix the egg yolk with a little water and brush the top of the biscuits to glaze them. Sprinkle on the cumin and caraway seeds and you can crumble some extra cheese over the top, too.